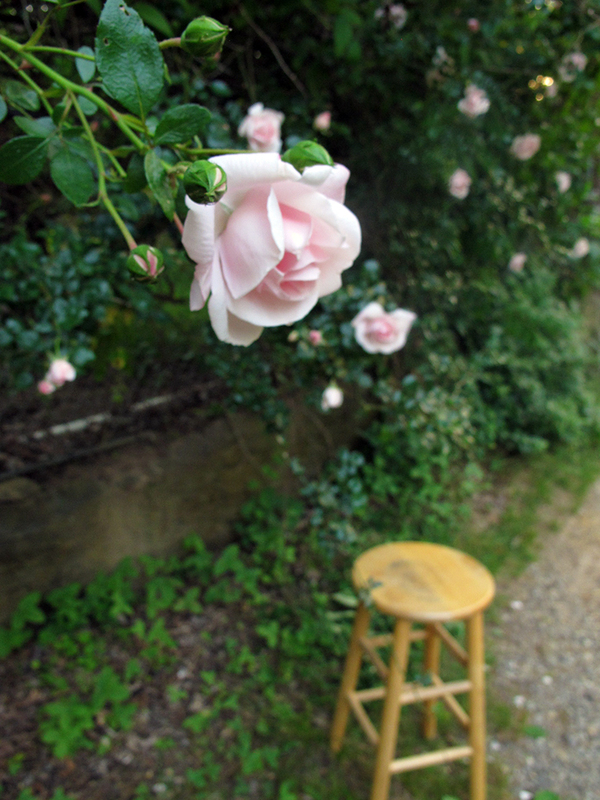 On the craggy side of our driveway, arching over a rusty fence, there is a rose bush that has grown wild. Once upon a time, I imagine, it was planted by a quiet, well-mannered couple. Decent, hardworking folks who placed that bush, square and manageable, at the far end of their placid yard and expected it to behave. Fortunately for us, it never has. Their petals cover the ground, like small mouths softly consuming the soil. Every day a new bloom pushes outward, begins its slow and sensuous unpeeling. I stand with both arms stretched out like wings beneath the tall canopy of pink. I carry them into the house, watch the chambers unfold by candlelight. They are like perpetual poets. Sometimes I get so close to them, my hands, my face, I feel as if I am drinking. Roses. They hold a power over me. Maybe it’s in my blood. According to family lore, my great great grandfather died for the sake of a single rose. An English gardener and flower breeder by trade, in the late 19th century this passionate predecessor entered a maddening race: to be the first man to breed a black rose. He tried for months. Time and time again, there was simply too much purple, a discouraging dash of pink, a ruining run of crimson. Finally, one fateful day, a new bloom opened and there it was, dark, rich, fulfilled– the black rose (or at least as close as anyone had yet come). At this point, the race had become so vicious, so contested, my great uncle refused to leave the rose. As my grandmother tells it, he decided to sleep out in the greenhouse rather than leave his beloved black bloom to the threat of poachers, known to be keeping close tabs on the race. The way I see it, the glory of the black rose drove him into a steeply dedicated madness. In a plot twist worthy of the romantics, my great great grandfather, who slept dutifully besides his single rose, caught pneumonia in that green house and fell deathly ill. Within months, he passed away, out of the history books and forever disqualified from the race. All for the sake of a single rose. 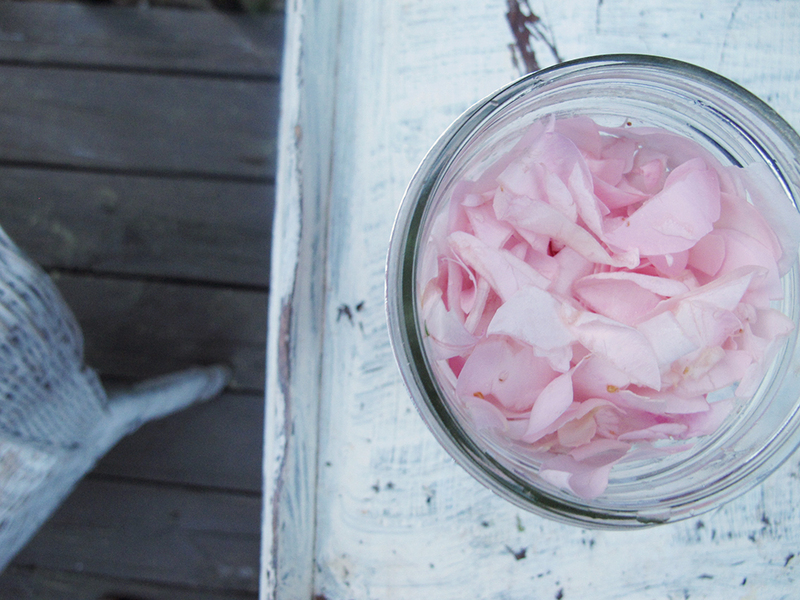 Crushed, coddled, beloved– Roses have surpassed that solid, statuesque position of symbolism. In the rich tableau of our cultural history, story, and song roses have come to hold a meaning that belongs to them alone. Like catching a heady embankment of your lover’s old perfume, Roses have simply become that which we have always ascribed to them. Love, longing. The double-edged sword of opened beauty and hidden thorns. Protection. Delicacy. The bravery to open fully to the delights of existence. I once read that there is a term for an object or creature that has come into being–exists– simply because so many people, for so long, have believed in its reality. Perhaps, this is the case for our roses. I like to think that the roses always knew we would adore them. Perhaps it has been planned from the beginning. Maybe they visited the Ancient Persians, the first to cultivate the wild rose, in their dreams, swept them under the velvet robes of their bewitchment, and bid them to begin their devotion. And I’m sure it was the inner ebb of those blooms, the voice that belongs to them alone, that first told us of their medicine. 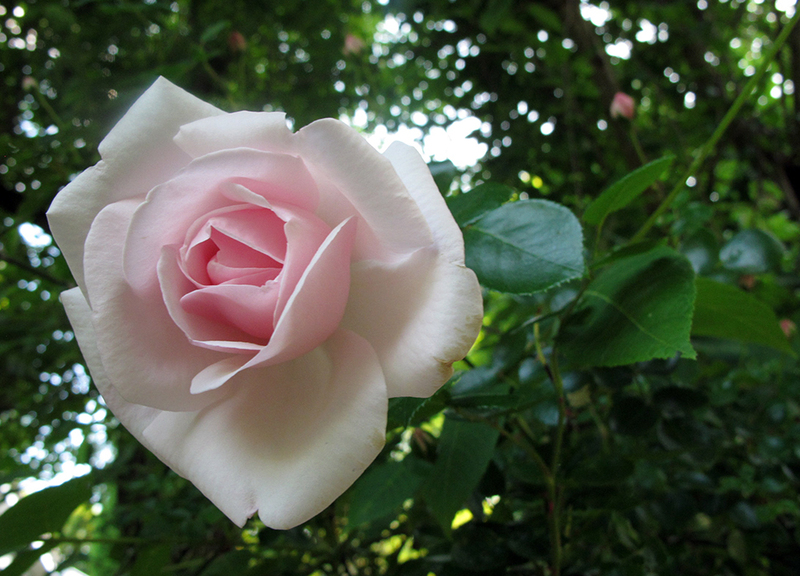 In traditional Western Herbalism, rose petals and buds are prized for their nervine properties. They are powerful medicine for healing grief, loss, sadness, fatigue and heartache. 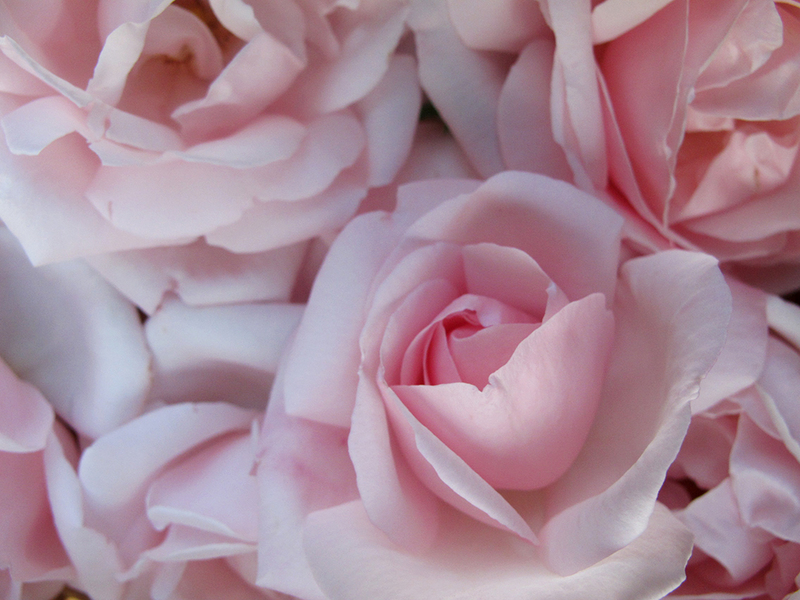 Cooling and uplifting, roses are also used as a general anti-infective and anti-inflammatory. They are a sumptuously effective remedy for wounds, burns, traumatic injuries and sore muscles. 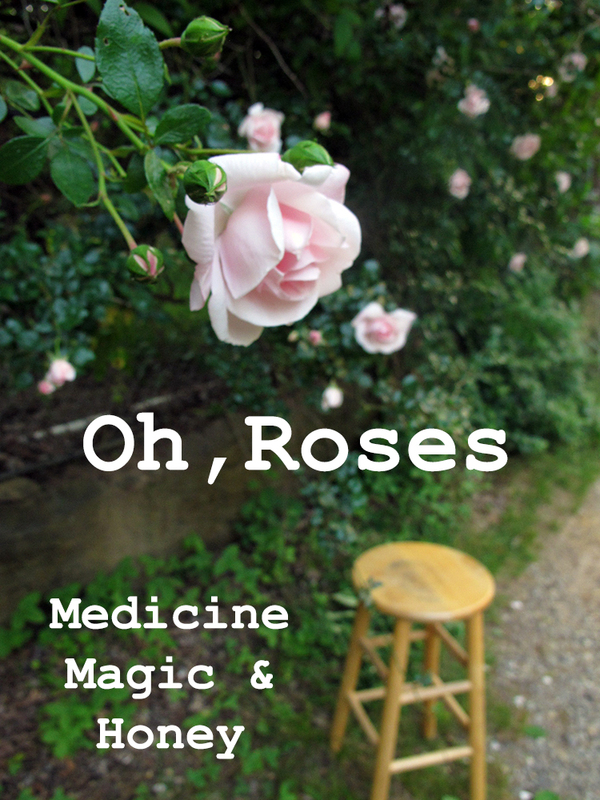 Rose medicine is as diverse as the incredible multitudinous of their species (Dive into southwest Herbalists Kiva Rose’s Monograph for a rich introduction to the healing powers of Rose). 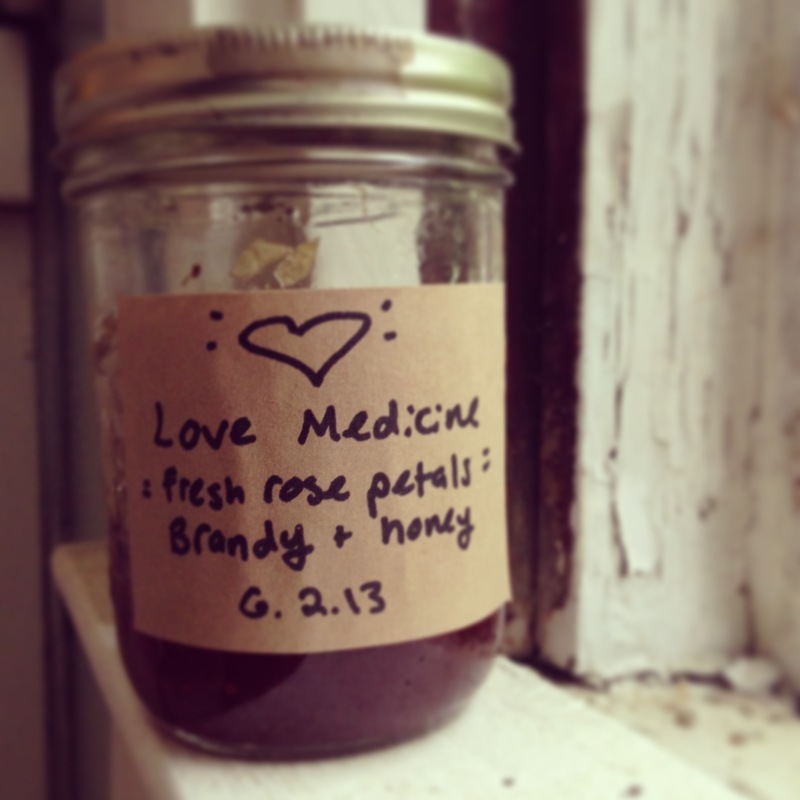 One of my favorite ways to preserve the medicine of rose season is to craft a fresh batch of rose honey. Sensuous, evocative, and downright delicious, capturing this sweet stretch of profuse blooms is wonderfully fun. Visit your roses in the evening. Wait until the light has grown honey-warm and the scent of the blooms has spread like wine through the air. Or perhaps you’d like to venture out first thing in morning to shake off the dew. What matters is this: take time. Learn how to make the moment delicious, and all else you do (including your honey) will spin out from there. Get as close as the rose will allow. Slide your nose into the velvet folds and deeply inhale. Close your eyes. Feel their scent stir something inside you, humming some deep part of your body. Run the tips of your fingers across the arc of the petals. Watch how the unopened buds bounce in the wind. Observe, reflect, share your breath with this wild plant. When the time is ripe, gather. Wait until you have drunk your fill, and have been acknowledged by the rose…(and what an extraordinarily enthralling idea, to be recognized and accepted by such a specimen of perfection). Bring a basket or a woven bag of cloth. Collect the blooms, open and budding. Be gentle, touching the thorns on occasion. Once you have collected a few good handfuls, you are ready to make your honey. 3. Pour honey over the mixture until the petals are just covered. 6. Sneak off spoonfuls as needed (eating the petals as you go) or simply strain by pouring your mixture through fine cheesecloth. If your honey mixture is stubbornly thick, pour the contents of the jar into a double boiler and gently heat until the honey is warm enough to run. (If you don’t have a double boiler you can easily create one by placing the metal rim of a mason jar in a large pan and covering with water. Balance your smaller pot onto the metal rim with its bottom just submerged in the water of the larger pot. Et voila). Rose honey is a fabulous remedy for wounds and burns, you can apply directly to the skin. In my life however, this nectar almost always ends up dedicated to the realm of the edible. Unveil your honey at a late summer garden party and serve with warm scones and sweet basil cocktails. If you made honey liqueur, try bringing your homemade elixir to the riverside with a lover and a picnic basket full of pillows. See what unfurls. 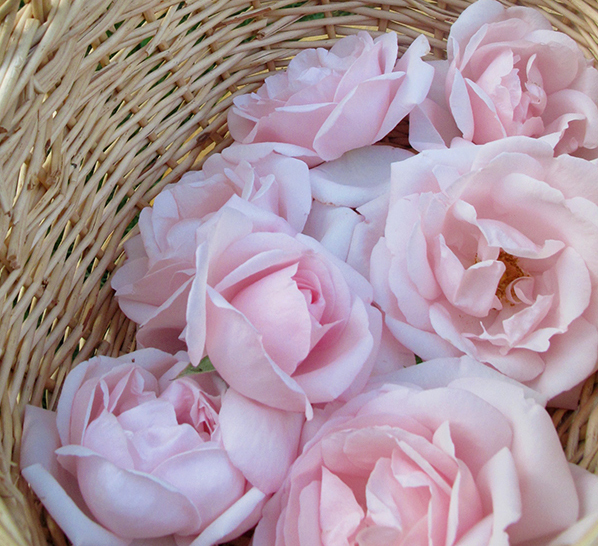 Savor the special medicine of rose season in any slow corner of the year. We’ve slipped into one of the most delicious times of the year– that liminal, lofty space between spring and summer. The raucous rush of springtime ephemerals has died down, leaving a haphazard cascade of petals dissolving beneath the trees. And yet, the hot days of dry grasses and hibiscus have yet to arrive. Like the anticipation of a full moon, the coming of this new season has stirred something inside me that I can only recognize as a honeyed, exhilarating mixture of nostalgia and desire. The plumping of the oats, sown in the earliest days of Spring, is yet another indicator that the heat of Summer is near. 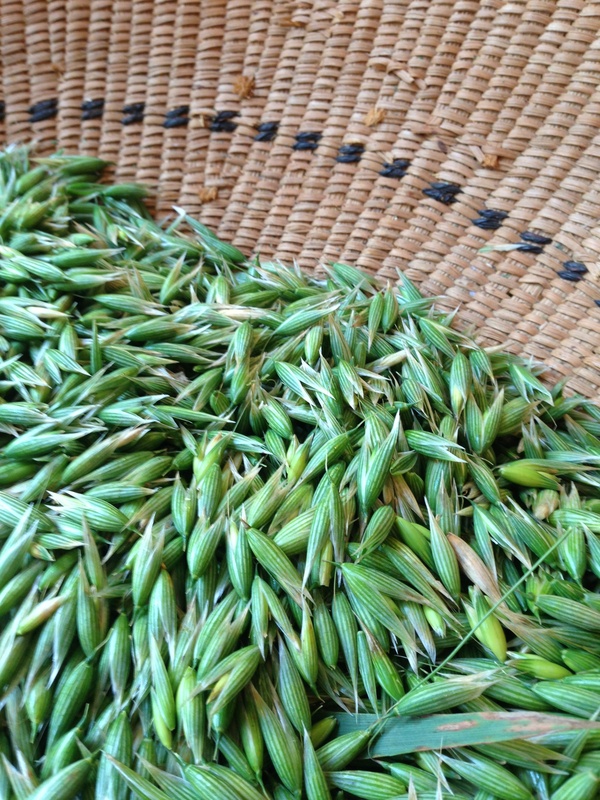 Milky Oats is one of the most sensuous, enthralling and enchanting herbs I have ever had the pleasure to grow. (Even its scientific name is utterly delicious: Avena sativa). Most people are familiar with oats as a cover crop or a cereal grain. Growing up I, quite frankly, thought oats were supremely boring! (Although, having been raised as a Quaker, I did feel a strange modicum of pride in our small, oat-bound, claim-to-fame. There was something about that simply dressed Quaker character and his good old-fashioned stoicism…) Turns out, oats are wild, exciting and truly incredible medicine. 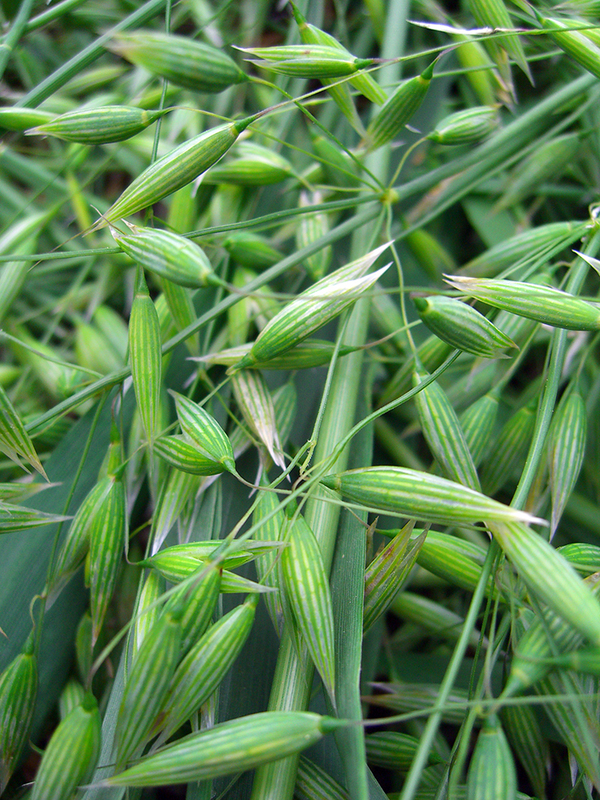 Growing at breakneck pace, the green stalks of oats are unbeliveably nutritious and mineral-rich. Infused in hot tea, oat straw is considered a tonic nutritive, feeding our body and nourishing a calm state of mind. It is an excellent source of calcium and magnesium and can help ease the stress of rough transitions and dark moods. 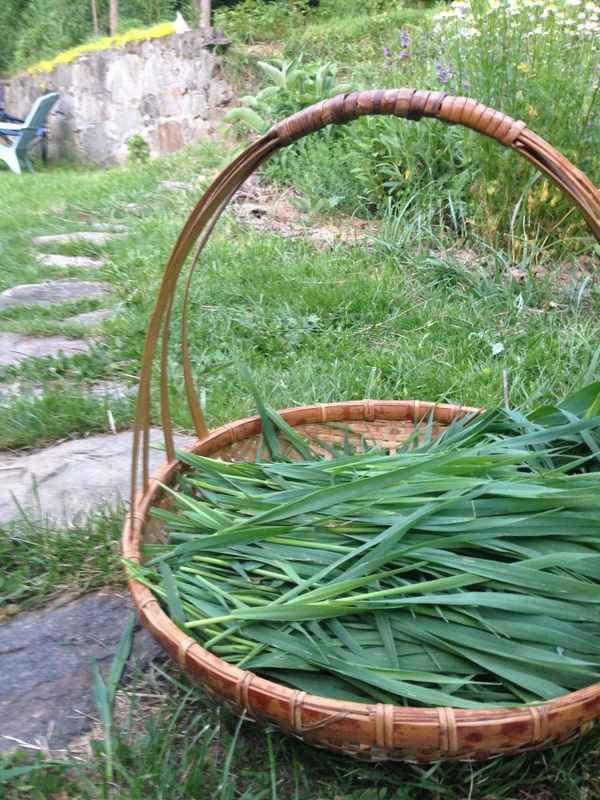 If you grow oats as a cover crop, you can snip the greens at anytime. Cut them into sections for easy drying and store as a delicious tea beverage throughout the year. 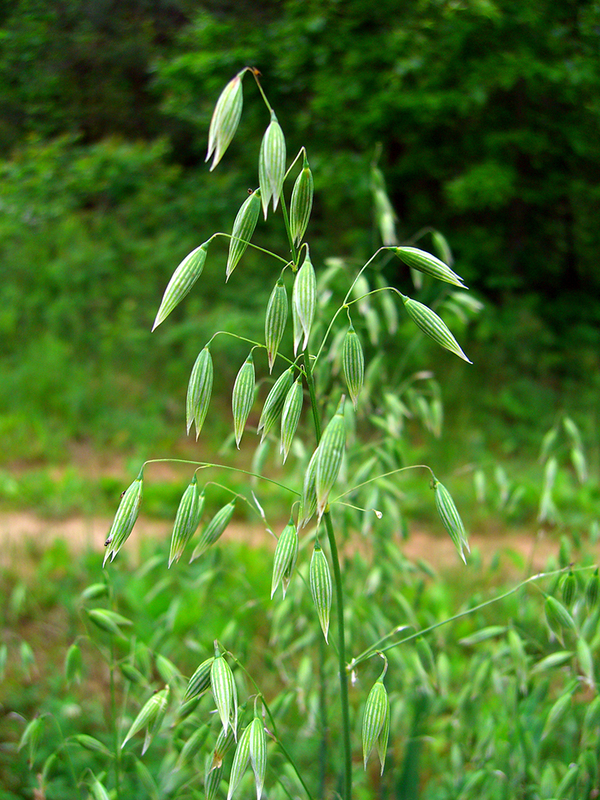 Let your oats keep growing, and their magic will continue to unfurl in the tiny, delicate wands of their seed heads. Soft, prancing, seriously delightful, the semi-mature oat seeds should be harvested for medicine at a very specific time. It requires finesse, and maybe a whispered hint from a fairy or two, to get it just right. You must develop a relationship with your oats, squeezing them gently every day until you see that telltale drop of “milk” appear at their tip. This milk is a naturally occurring latex, and signals us herb-worshipers that the time is ripe to gather this medicine. 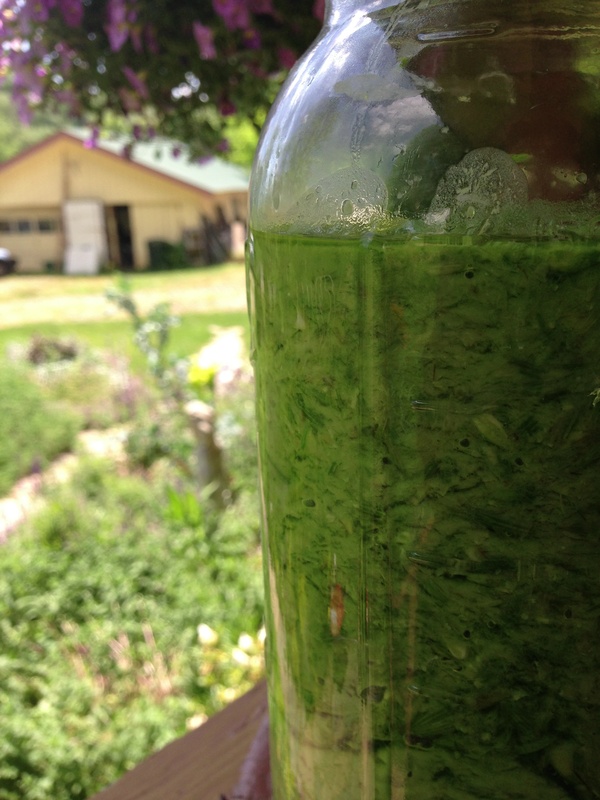 Blended with alcohol to make a tincture (using a ratio of one part herb to two parts alcohol), Milky Oats forms a vibrant, verdant green slurry of medicine. After it sits for at least 6 weeks, you can strain your alcohol off and enjoy the many blessings of Milky Oats. Note on Gluten: As someone with an extreme gluten-sensitivity, I have never had a reaction to any reliably grown oat medicine. Grown commercially, many oats are processed with wheat, rendering them unsafe for anyone with celiac or gluten sensitivities. I do not generally buy oat straw from the store. However, oats that I know have been grown and processed separately from wheat have always treated me kindly and should, technically, be completely gluten-free. Personality wise, Milky Oats is akin to a sweet, round, sensuous water nymph…asking you to slow down, simply drink, and enjoy. Milky Oats is a tonic in the traditional sense, you will see the most profound shifts in physical and emotional states when taking Milky Oats over a longer period of time. I recommend 1-2 dropperfulls of tincture up to 3x day taken for at least three months for long-term benefits (although, as a supremely safe herb, you could increase that dosage to 3-5 dropperfulls as needed). One of my favorite expressions is the old adage of “sowing ones wild oats.” When you seed oats you broadcast them, recklessly and with abandon, knowing that at least one of them will take and, frankly, not caring very much which one! Recently, a younger friend of mine broke up with her long-term high school sweetheart and has had a string of brief love affairs and amorous encounters. When asked about it, her mom simply shrugged and smiled, “she’s just sowing her wild oats.” Far from the negative stereotyping of wild foolishness or reckless naivety, sowing one’s oats can be incredibly empowering. It’s about striking out into the world, finding levity and the space to play, trying new things and seeding the light of your curiosity and creativity in all kinds of crevices. (In this way it reminds me of the stone known as Fools Gold, or Pyrite). 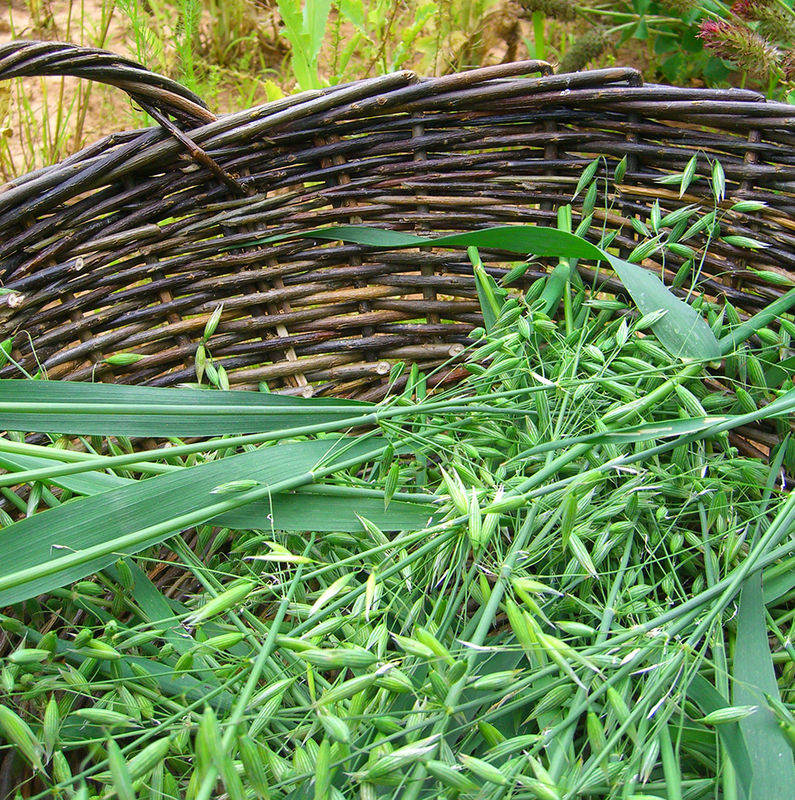 Wild Oat Flower essence, a form of energetic plant medicine made from a wild variety, embellishes this same narrative. This sweet essence is also called the Vocation essence, as it can help those who feel distracted or distanced from their life purpose, or squarely confused about the nature of their path, next step, or greater calling. Often indicated for those who feel consistently restless or dissatisfied with their life. Taken in drop dosages, Wild Oat flower essence can help you find and feel enlivened by the call of your individual destiny. Vivid and true, Oat essence shows you the uniqueness of your path and helps you to invoke and appreciate work as an expression of your true spirit and inner calling. A clearing of purpose and conviction, this essence is wonderful for those graduating from school, stagnating in a limiting or boring vocation, or perhaps even experiencing a mid-life crisis. 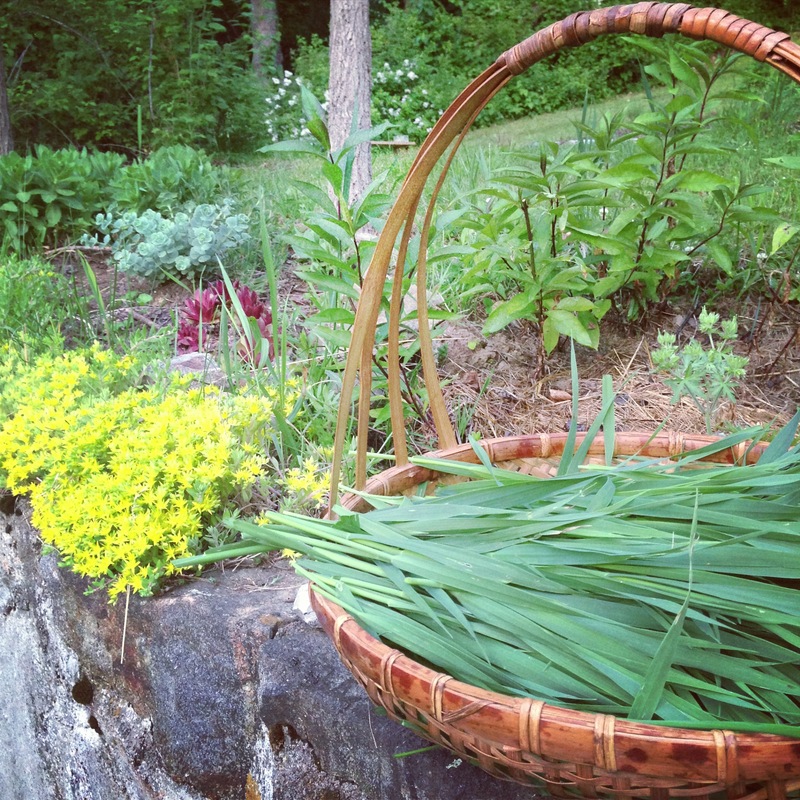 Yesterday, I went out to the garden to harvest my last batch of oats. Soft and slender, I held each one like a small dancer. On my knees, I clipped them slowly. I was in no hurry. 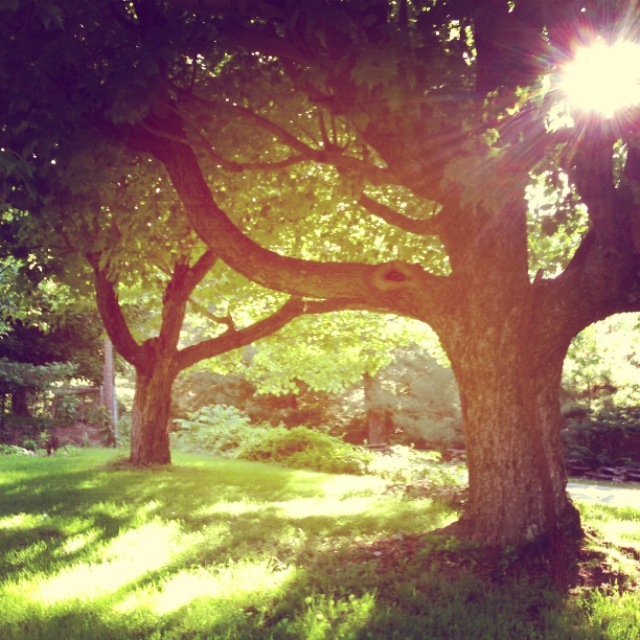 I let them fall into an old willow basket and felt the late afternoon sun warm like orange on my skin. 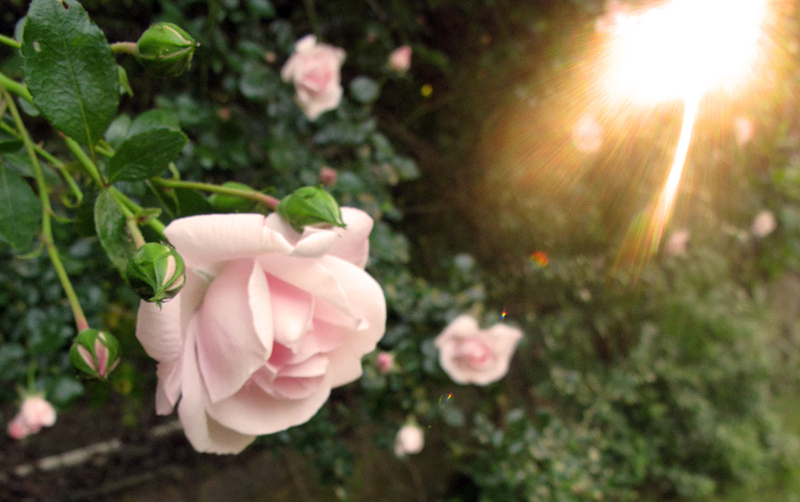 The breeze moved across my arms gently, carrying the distant scents of fresh grass, wet earth, and faraway roses. Summer was coming, and she was speaking to me with each methodic clip and quiver. She was whispering something that felt like a daydream and sounded, in hollows and vowels, like destiny.